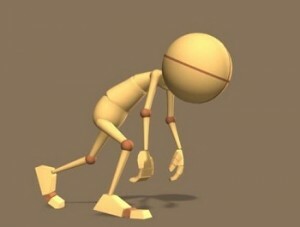 In the unrelenting world of the 21st century, where break in work is equal to a comparative regression in achievement, an echoing complaint from the hearts of the Muslim ummah is that of constant fatigue. My first instinct in writing this article was that it would be easy; after all the Prophet would spend nights in worship of his Lord, and would proceed to spend each and every moment of his blessed life demonstrating to humanity how to live perfectly. Whether it was teaching, learning, communicating, or handling household affairs, he exemplified all actions to the highest caliber. How did this man, the best of all creation admittedly – but nonetheless a man – achieve such standards? Believers and non-believers alike stand in awe. Libraries of books have tried to explain how Muhammad achieved so much with so little. So how can we strive to achieve as much as possible? Find your purpose. Time, as the saying goes, stops for nobody, and it’s up to us to make the most of every moment. A quick glance at the life of the Prophet makes it clear that he lived, breathed, and shed sweat, tears, and blood to attain the pleasure of Allah . His aim was clear, and he achieved with every sinew in his blessed body before his appointed time with the Angel of Death.It goes without saying that the Prophet’s purpose should remain our purpose. However, it is useful to set our own clear goals. Be clear in what you want to do and how you will achieve it. Find your drive and start each day like you did it on purpose. Your body is a gift. Are you looking after it? Prevention is always better than finding cure, and in an age of fast food and microwave dinners it is a struggle to treat our bodies with due care. We all know what is healthy and what we should avoid. I could sit here and list all the Greek and Latin named antioxidants that Allah has placed in the blueberry, but to be frank, this is the sort of stuff found next to the horoscopes in a woman’s magazine. Eat healthier and do more exercise. Period.The Prophet demonstrated beautiful eating habits. He once said, “It is sufficient for the son of Adam to eat a few mouthfuls, to keep him going. If he must do that (fill his stomach), then let him fill one third with food, one third with drink and one third with air” [Tirmidhi]. With regard to hydration, Allah has placed 40L of water in an average 70kg man. SubhanAllah! This equates to about 60% of the total body mass. We all feel a little grotty when our water levels are running low. The current recommendation in the UK is 1.2 litres/day, so invest in a water bottle and keep yourself hydrated. Rule out an organic cause. If you are one of those who claim fatigue, what exactly do you mean? Were you at the peak of your physicality a couple of months ago but now struggle to climb a small hill; or do you claim fatigue because you can’t do with your body what you managed 50 years ago? Yes, I am being facetious, but only through fear that doctors will become inundated with productive Muslims demanding explanations for their fatigue. Fatigue is NOT the same as laziness.If, on the other hand, you are a middle-aged female on a vegan diet who has a running family history of hormonal imbalances, (to clarify to the guys out there, I’m referring to the like of thyroid or diabetic issues, rather than hormone imbalances), then perhaps there may be something to discuss with your doctor. May Allah protect us all from such afflictions. Remember Allah. The Prophet said that the People of Paradise will only regret one thing: not having made enough dhikr(remembrance of Allah) in the world.None of us can begin to compare our tribulations with those of the Prophet and his companions (may Allah be pleased with them all). Our fatigue, therefore, can be nothing when compared with these beacons of Islam; yet they found satisfaction though the simplest of means.Ali Ibn Abi Talib reported that when the Prophet’s daughter, Fatima came to him and asked him for a servant, he said to her and Ali: “Shall I not teach you something that will be better for you than a servant? When you go to bed, say ‘SubhanAllah’ thirty-three times, ‘Al-hamdulillah’ thirty-three times, and ‘Allahu Akbar’ thirty-four times. This is better for you than a servant” [Bukhari & Muslim]. Give thanks to Allah for the blessing of fatigue. Narrated Abu Sa’id Al-Khudri and Abu Huraira : “The Prophet said, ‘No fatigue, nor disease, nor sorrow, nor sadness, nor hurt, nor distress befalls a Muslim, even if it were the prick he receives from a thorn, but that Allah expiates some of his sins for that‘ [Bukhari]. Smile! Ok so you yourself are shattered, but what about those around you? Smile, be nice and show interest. Be human. Insha’Allah dua will emit from their hearts, and blanket you as you take time to rest. Sleeping. A somewhat neglected fact of life by the Muslim ummah, but if a person were to spend 8 hours of his day in sleep, then 1/3 of his life will have been accounted for. If he were to spend it in a way taught to us by the Prophet , then one can hope that they can stand before Allah on the Day of Reckoning with at least 1/3 of his book of deeds being listed as being in worship. I don’t suggest 8 hours as the recommended/not recommended length of time we should sleep, but use it rather to emphasise a point. Reflection. The power of reflection should not be underestimated. If you find yourself sprawled out on a rug at the end of a busy day, take some time to reflect on what has happened in the past 24 hours. Have you moved forward with your life? Are you closer to Allah today than you were yesterday? The desire to improve yourself for Allah’s sake will Insha’Allah reap its own rewards. Question: How do you deal with fatigue? Let us know by leaving a comment! Usman Adam is a hafiz and final year medical student. He enjoys writing, especially to trigger medical or religious debate and enjoys spending time socializing with family.